All our Pranic Healers in keshav puram are certified and have at least one year of professional experience. When you contact a Pranic Healer in keshav puram at Life Positive, you are protected by the Life Positive seal of trust. Do you want to keep your body active? If the answer is yes, then slowly reduce your dependency on traditional allopathic medicine, which is the most common form of treatment for the majority of the health issues that we face today. It helps you to get rid of symptoms but doesn't take the concept of life energy into consideration. This is the reason why the disease keeps coming back. For example, a person with a high blood pressure or diabetes has to take pills every day. These pills give you a temporary relief, but the symptoms keep coming back. In such cases, you can utilize an alternative and natural healing process called as Pranic healing. Prana means “Life Force”- the energy that makes your body active and healthy. Pranic healing is a process that utilizes the vital force of Prana to heal illnesses. What are the benefits of Pranic Healing? Pranic healing helps you to get rid of all the diseased energies from the affected body part and injects a vital energy with the help of hands. Pranic healing is a scientific method that has the ability to treat all kinds of mental, emotional or physical problems. Pranic healing is a natural practice and it is absolutely safe. It has no side effects. And this is the reason why many prefer Pranic healing to traditional medicine. Life Positive truly understands the benefits of Pranic Healing and hence has decided to take it to the masses. Pranic healing is the best alternative treatment for all your health problems. It will heal you physically, mentally and emotionally. Pranic healing has been offered in India for a while. India now has trained and passionate Pranic healers. 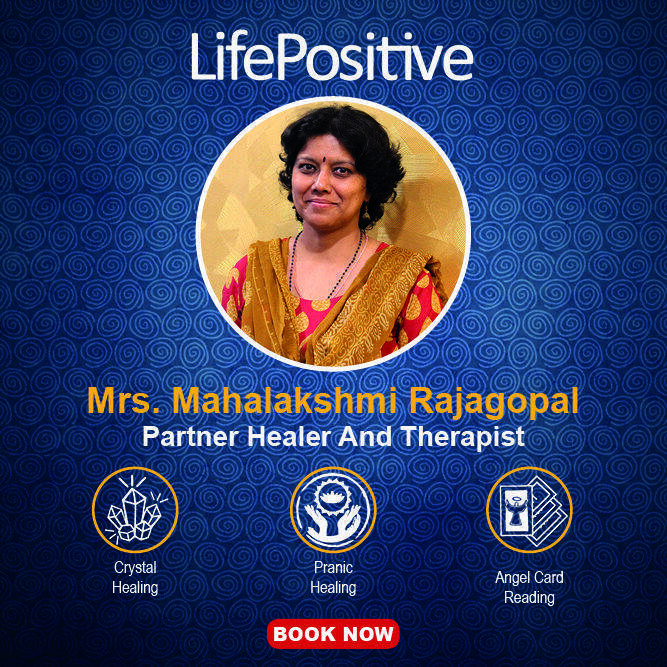 Life Positive is glad to have partnered with some of the best Pranic healers in India. You can contact your preferred Pranic healer in India from the list above.
" 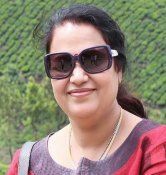 My mother Mrs Sabita Paul was diagnosed with Interstitial Lung Disease (ILD) in November 2018. She lost 20 kgs, had breathing difficulties and continuous cough which are symptoms of ILD. This is not a very know disease but is life threatening as lung cells get scarred and destroyed progressively. There is no treatment available for it despite intensive research across the world and often patients have to be on Oxygen Support 24x7. My mother became very weak and could not get up from bed after the diagnosis. At this point, I connected with my friend and healer Mrs Sharda Mani Iyer. 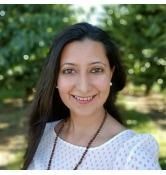 She immediately started advanced cellular healings and psychotherapy healings. I observed that during the period my mother was being healed, the coughing would stop, and my mum could breathe easily. Sharda has continued diligently with the healings and had also counseled and assured me that Pranic healing will energetically bring a change at emotional level and physical level and that%u2019s what happened in my mothers case.. I am happy to report that my mother has now recovered to a great extent. She does not have cough and breathing difficulties and is very active. She does all the housework and goes to the market and bank on her own. She is being regularly healed with Pranic Healing techniques as per requirement. Although we did use Pranic Healing techniques to the best of our ability, but we have not discounted allopathic treatment. My mother takes her medicines on time and goes regularly for pulmonary rehabilitation. A combination of these treatments has really helped her bounce back. Sharda was not only a Pranic Healer. She assisted me as a compassionate friend, guide and counsellor during this phase and this is the quality that I really appreciate in her as a healer. She is 100 % there for you in all manner possible. With thanks to Master Choa for such wonderful life saving techniques of Pranic Healing. Atma Namaste!" Najafgarh, New Delhi, Del. 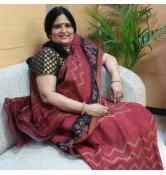 . .
" I have known Ms Shardamani Iyer for the last ten years.She is a good counsellor and a very compassionate person. She has healed me a few times and it had helped me resume my normal duties. She believes energy can change the way you live .It's very interesting to know so many facts about energy. I totally agree with her that a child who is in the Spectrum of Autism can be benefited a lot and have seen the changed over years in a child who has grown to be an adult. I am totally in for such healing science called Pranic healiy and a healer like Ms.Shardamani. sandeep khatri"
" I thank Ms. Navina Punj for all the support and healing she provided. She is the beast pranic healer I came across :-)"
" Hi, I am Nitin Suvarna. I have been introduced to Pranic Healing by my nephew in Dec 2018. I being a Kidney transplant patient for many years had to take a lot of medicines and due to its side effects, I developed OSSN of Right eye. Mr. Mohammedi Lokhandwala; my guru/sir, gave me Healings on regular intervals and this helped me a lot to cure my OSSN and also gave me a lot of confidence and energy as I have also been suffering from anxiety. Sir also taught us basic Pranic Healing and now I am planning for the advanced course. Pranic Healing really helps us in our day to day activities. Today, I am full of energy due to my guru/ sir Mr. Mohammedi Lokhandwala. "